Roma Eusebio Di Francesco is plotting revenge on Liverpool after losing yet another star to the Reds. 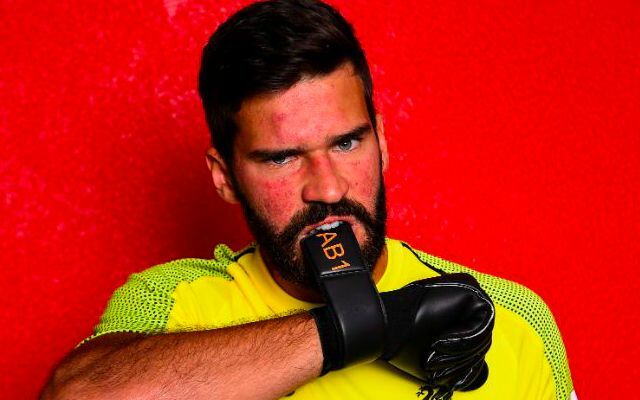 Alisson recently sealed his switch to Merseyside in a deal worth £65million to become the most expensive goalkeeper of all time. His departure comes a year after Roma sold Mohamed Salah to Liverpool for a bargain £36.9million – a fee the Italian giants have since publicly regretted in light of the Egyptian’s 44-goal debut season. The loss of Alisson marked the latest misfortune for Roma at the hands of Liverpool, who also prevailed when the teams met in a thrilling Champions League semi-final contest. Di Francesco is now keen to punish Liverpool on the pitch by knocking them out of this season’s competition. He said: “We hope to meet him in the Champions League and beat him, like I told him today when he came to say goodbye,” per the Liverpool Echo. A Virgil van Dijk-esque willingness to invest heavily in Alisson signified the club’s fierce intent on strengthening their goalkeeping department. Jurgen Klopp admirably retained his faith in Loris Karius following his torrid Champions League final, but he evidently always had his sights set on adding a new no.1. In Alisson Liverpool have long-awaited world class talent between the sticks, with the ability to help inspire a Premier League title charge. Di Francesco is likely to be the only manager keen on facing the Reds in Europe this season.